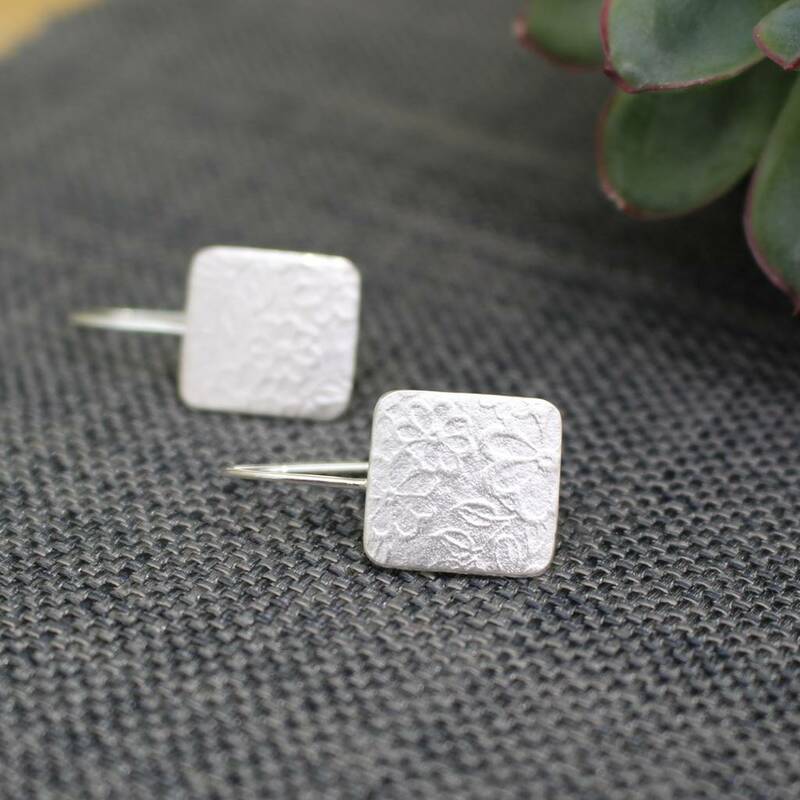 A sweet and simple tag shaped pair of sterling silver earrings embossed with a beautifully tactile texture of interwoven flowers and leaves. Beautifully easy to wear with a design inspired by the trees and flowers in my garden, a perfect reminder of summer days. Each design in the Watercolour Collection originates from my watercolour and pen-and-ink sketches, and the process of their creation is a mix of traditional and modern techniques. Sketches are put into repeat patterns on the computer and then laser engraved into card, creating a deep texture. 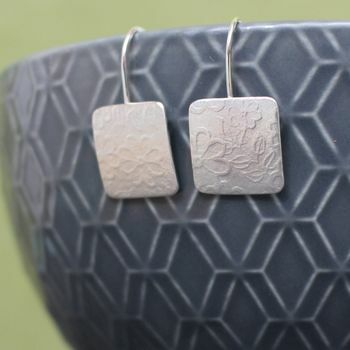 Silver sheet is then passed with the engraved card through a rolling mill, a traditional item in any jeweller's studio, and the deep pattern embosses the silver. As each earring uses a slightly different part of the pattern no two pieces of jewellery are ever the same. 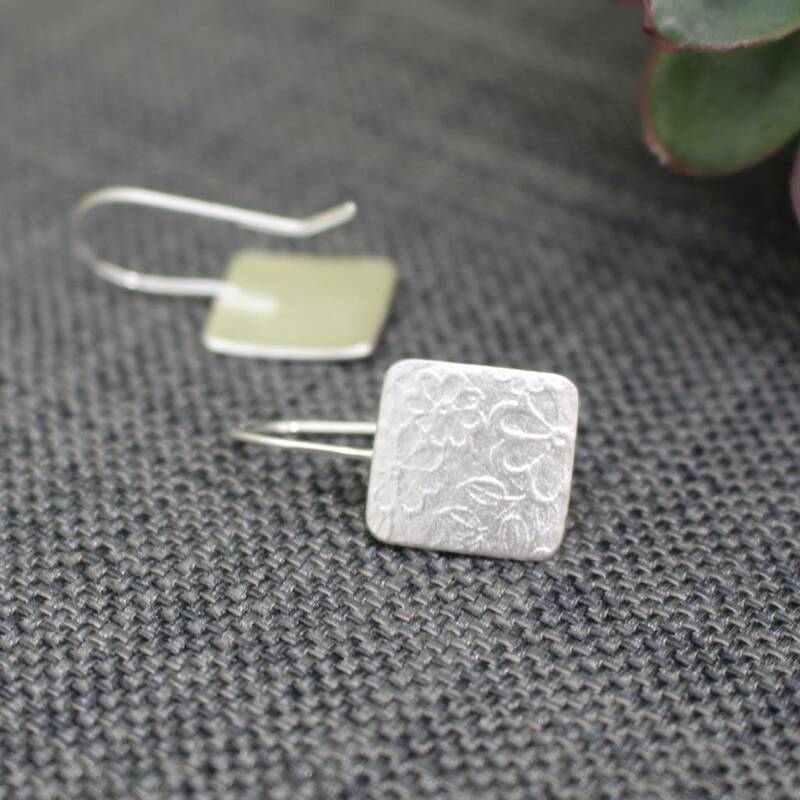 The earrings have a gentle curve and are finished with sterling silver earwires. 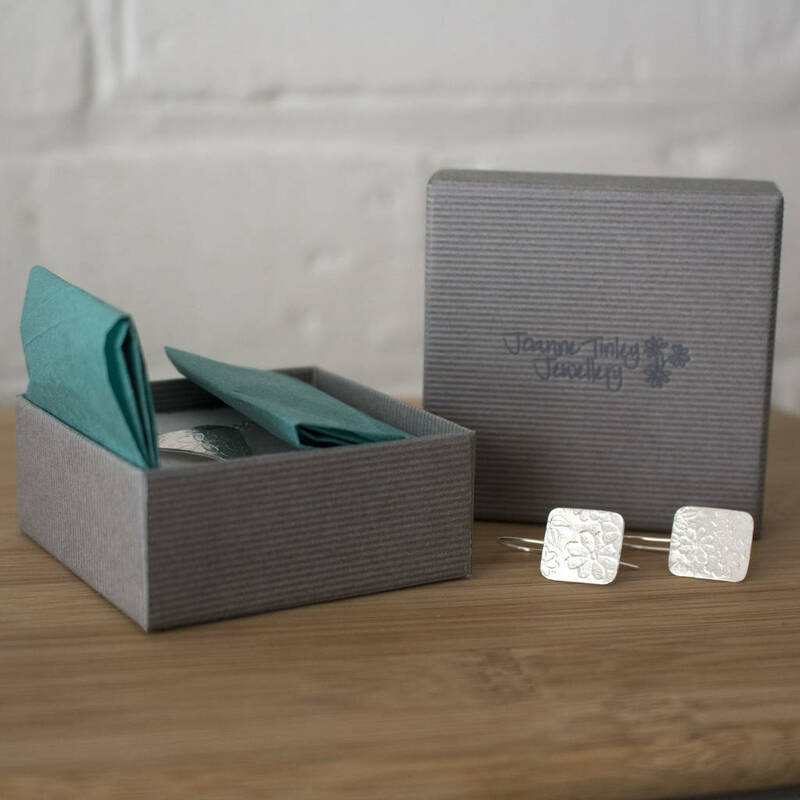 All Joanne Tinley Jewellery is beautifully presented in my signature dove grey gift boxes, complete with a care note, perfect for gifting. A gift card with a short handwritten message can be included if you wish. Best cleaned with a silver polishing cloth. The earrings have a drop of approximately 2.5cm. This product is dispatched to you by Joanne Tinley Jewellery.